Guest blog from Hypnobirthing teacher Del - find out what it is all about! 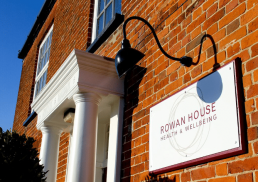 Hypnobirthing in Norwich, what is it all about? Guest Blog by Del a hypnobirthing teache at The Orange Grove Clinic . Hypnobirthing is becoming more and more popular but a lot of people don’t really know exactly what it is. I wasn’t sure what to expect when I signed up for classes 3 years ago but had heard it would help me be more in control of my birth and help ease some of my anxiety about the thought of labour. I started the classes thinking ‘what have I got to lose’ and finished the classes actually excited about going into labour! 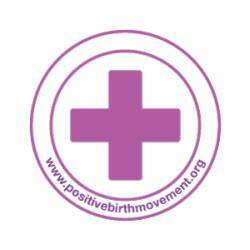 I have now had 2 amazing exhilarating Hypnobirths, when I think of them I feel positive, happy and empowered and I would love to do it all again (just need to convince my husband!!) I loved it so much I have now started teaching BeCalm hypnobirthing with Norfolk birth expert Jackie Heffer-Cooke. There is so much more to Hypnobirthing than hypnosis, our classes are taught as 5 sessions. Firstly we teach about what is happening during labour – how the body is helping us naturally, we also cover hospital bags, birth plans, self hypnosis, visualisations, breathing techniques, positive thinking, fear release, affirmations, the birth partners role and massage techniques for labour amongst many other things. In one of the sessions we do a complete run through of labour such as when to go to hospital and what to expect at each stage which couples always find hugely helpful! At the end of each session we finish with a relaxation which can be practised at home. The role of the birth partner is a huge part of Hypnobirthing. The men who come to our classes often seem a little reluctant in the first week but as we go through the course it is amazing to see their whole attitude change as they become confident that they know what to expect and what they can do to help. Many people find that they use the techniques and knowledge they learn in our classes in all sorts of aspects of their lives not just birth. Hypnobirthing is amazing, don’t just take my word for it give it a go if you are expecting, you never know where it might lead you!